A First World War rifle range has been discovered by a recently formed Welsh history society. Ian Fewing, secretary of the Aberystruth Archaeology and History Society was out walking in Cwmcelyn, Blaenau Gwent, Wales when he came across a collapsed wall. He contacted First World War researcher Peter Tamlyn and local archaeologist Frank Olding, who discovered the site is marked on a 1919 map as a firing range. 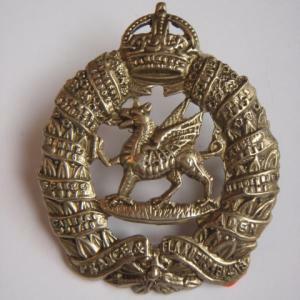 The 3rd battalion, Monmouths was recruited largely from Blaenau Gwent and suffered around 80 per cent losses at the Second Battle of Ypres in May 1915. As many as 800 men were killed during three days of brutal fighting during the Battle of Frezenberg Ridge. The British front line was virtually destroyed and there were few survivors from two of the four companies (A and D) that formed the 3rd Battalion. Those that were hit by machine gun fire trying to evacuate the front line trenches. Of the 500 men in A and D Companies only 29 were left unscathed. This entry was posted in News and tagged 1915, Aberystruth Archaeology and History Society, archeology, Blaenau Gwent, Centenary of the First World War, Ian Fewing, Monmouthshire regiment, news, UK News, Wales news, WW1. Bookmark the permalink.